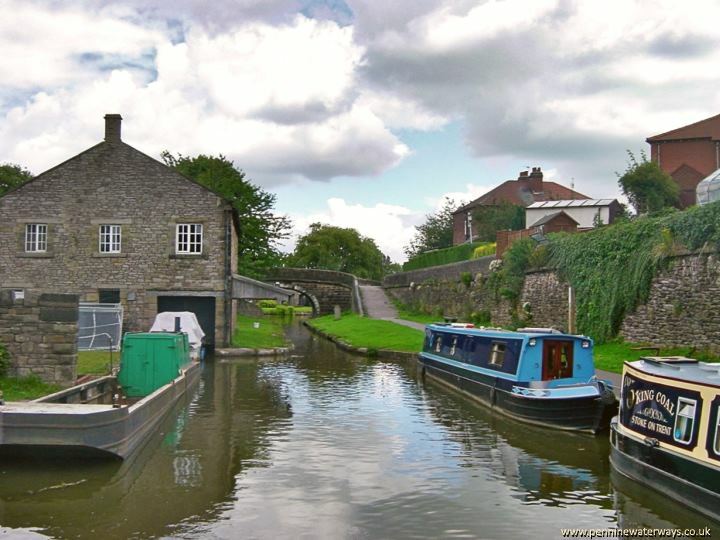 The junction with the Macclesfield Canal with the Peak Forest Canal, seen from Lock 16, the top lock, Marple. 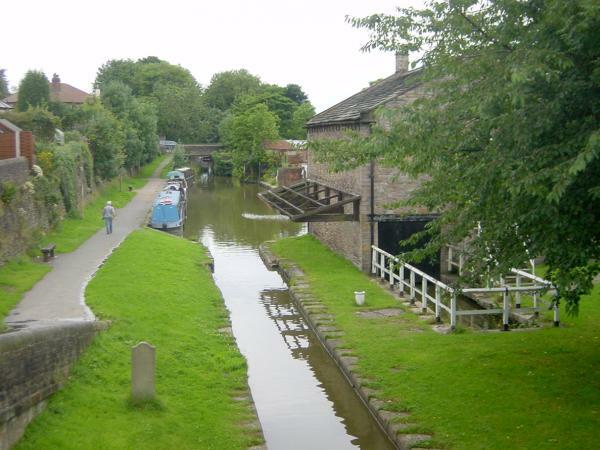 The view looking south-west along the first stretch of the Macclesfield from Marple Junction, with the former canal warehouse on the right. 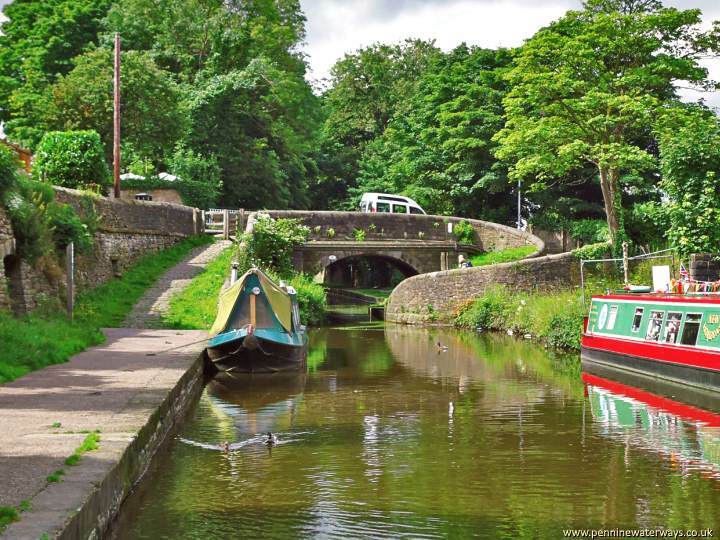 Looking back to the junction with the Peak Forest Canal at Marple. 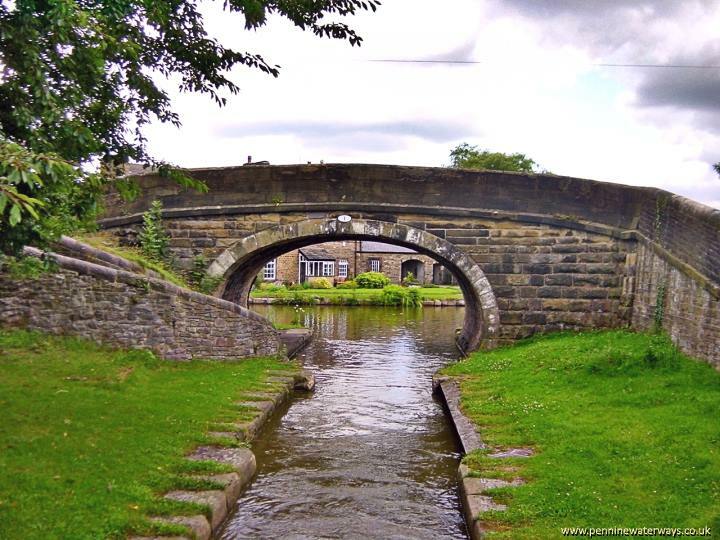 Bridge 1 is one of the Macclesfield's roving bridges or 'snake' bridges, where the towpath changes sides and a boathorse could cross without the need to disconnect the towline when travelling between Marple Locks and the Macclesfield Canal. 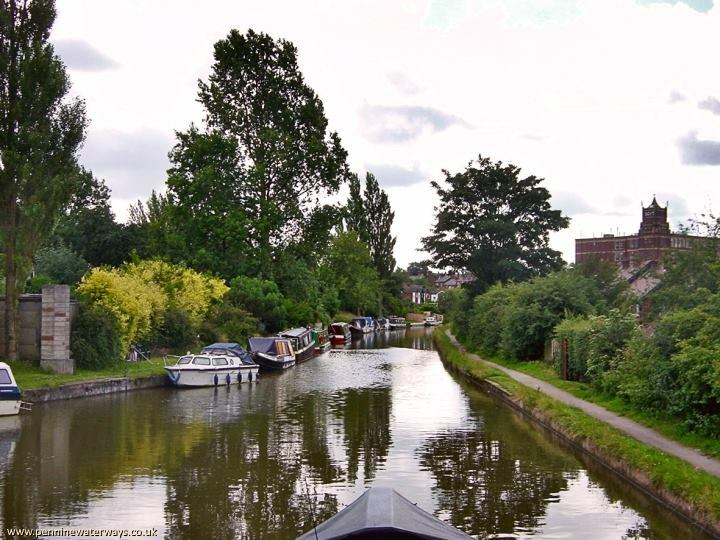 Looking back to Marple Junction, with the former canal warehouse on the left. 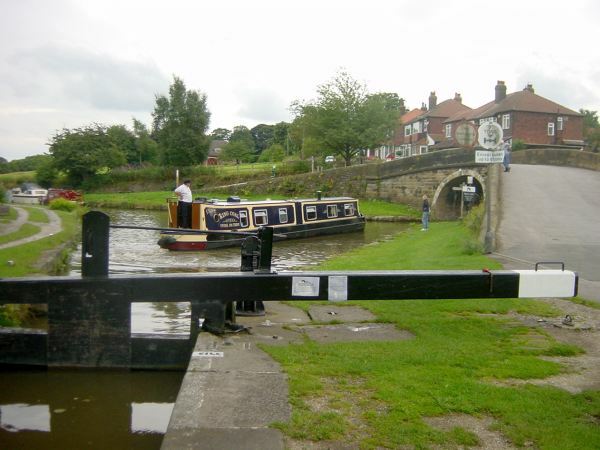 Church Lane Bridge, Marple - another 'snake' bridge where the towpath changes sides. 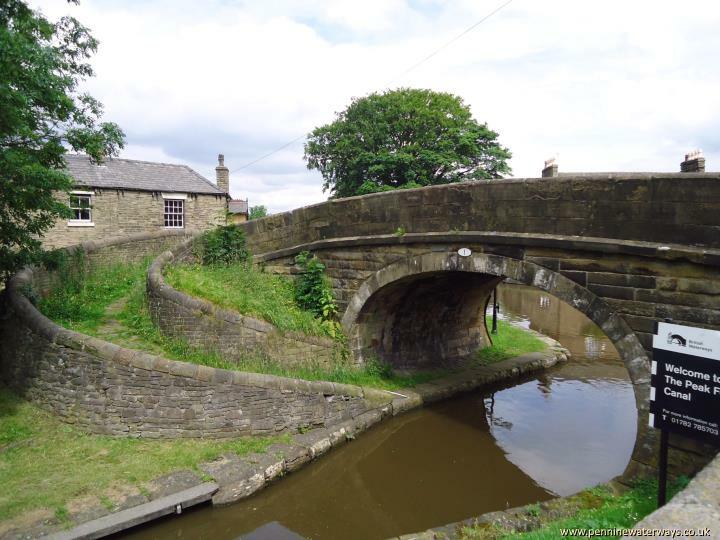 West of Church Lane Bridge, Marple, with Goyt Mill in the distance.